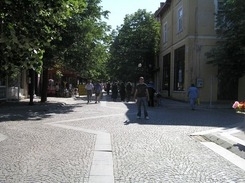 Elhovo Town and hotels in Yambol region in Bulgaria. Location: Elhovo is located on the left bank of the Tundzha River amidst a fertile field. 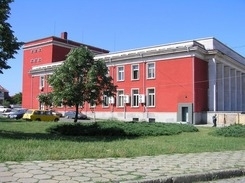 It is situated 339 km away from Sofia, the capital of Bulgaria and is situated 37 km south of the regional centre Yambol and 94 km southwest of Bourgas. History: Elhovo is a town with ancient history and numerous findings in the region evidence that the region was inhabited by the Thracians. The Thracian settlement that had existed here had been fortified by the Romans and were popular by the name Orudica ad Burgum. It was build along an important road, connecting Adrianopolis and Kabile. 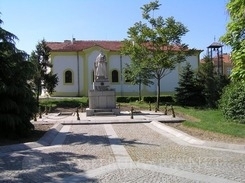 Landmarks: The ethnographic museum (with the unique collection of costumes from Aegean Thrace in Bulgaria). The church st. Dimiter of Thessalonica with original belfry is raising in town. - “Dolna Topchia” Reserve - on the territory of the village of Izgrev, along the flow of the Tundzha River. North of Elhovo is Gorna Topchiya Reserve, set up in 1951 for the protection of the natural thick forests.